Latest on Taylor Hall and Dustin Byfuglien, Vincent Lecavalier injured in a bus crash, and more in today’s NHL morning headlines. NHL.COM: The NHL schedule resumes tonight with the Winnipeg Jets in Philadelphia to face the Flyers while the New Jersey Devils travel to Pittsburgh to face off against the Penguins. 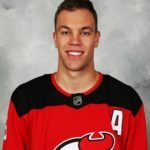 NJ.com: The Devils will be playing without superstar left wing Taylor Hall, who’s been sidelined by a nagging lower-body injury since Dec. 23. The Jets will be without defensemen Dustin Byfuglien and Ben Chiarot. Byfuglien’s been sidelined since Dec. 29 with a lower-body injury while Chiarot (lower body) has been listed as day-to-day since Jan. 13. The Jets recalled blueliner Sami Niku. TAMPA BAY TIMES: Former Lightning captain Vincent Lecavalier suffered minor injuries on Saturday following a charter bus pileup on the Selmon Expressway. Lecavalier and two others were transported to a local hospital. His agent said the former NHL star was ok.
SPECTOR’S NOTE: Wishing Lecavalier and the other two people who were hurt a swift recovery.